← Why is ‘Swallows and Amazons’ so inspirational? Dear Sophie , In June 1973 I was 9 months into my 3 year teacher training course at Didsbury Teacher Training College . I was well aware of the work of A.R. , having bought or having had bought copies of various volumes . It was not for many years – probably 15 that I contacted Cape for info. about locations – still have the reply !! Christina Hardyment came later and I became TARS no. 79 at the Windermere Steamboat Museum on day one of TARS . Ah, you’ve inspired me to think of writing a post with people’s memories. 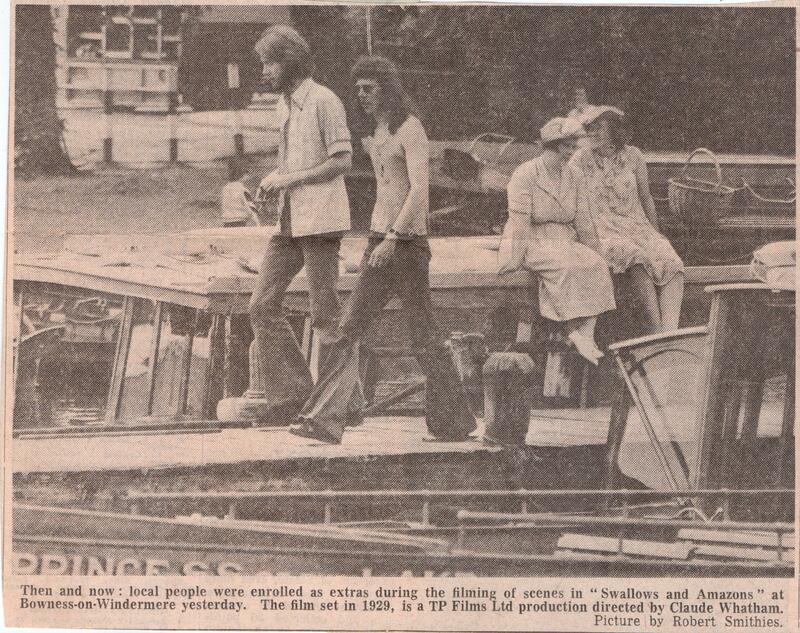 Did you see the film in the cinema when it first came out in the summer of 1974? Yes – I was impressed by the production of the film , the way it covered the story , and how well the cast members `became` each of the Walker and Blacket children . I enjoyed the viewing of the remastered version last year and viewing the `Swallow ` from the film . A most enjoyable day ! Great. I’ve been invited back to a cinema screening in Kendal this August. Have you managed to read a copy of ‘The Making of Swallows & Amazons’? You should be able to order a copy from your library. 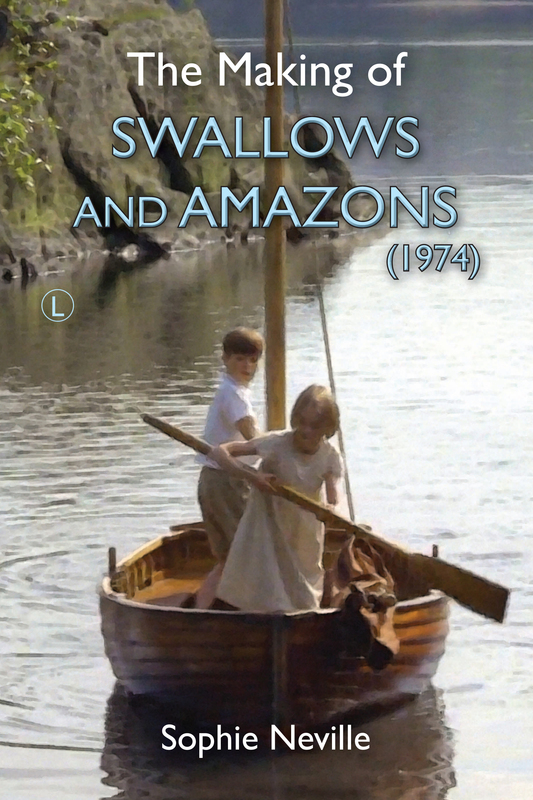 Dear Sophie , I bought ( and read ) ` The Making of Swallows and Amazons ` for my Kindle in Feb 2014 , and found it a great read – loads of info. we would never have known otherwise . I bought a signed copy of the book to add to my Ransome collection last summer. It is very well produced and illustrated – Thanks , M. R .
I’m so glad that you enjoyed both versions.The publishers worked very hard on the paperback, which I think contains about 120 photographs. They were wonderful and helped me to improve on the flow and add a better ending. I am now ready to go to a second edition, as we’ve been able to add a couple of names and a few more secrets. I didn’t realise that my mother was never paid for being a chaperone, despite the huge responsibility. I’m appalled. Quite illegal! Thank you so much for taking the time to add a review to the Amazon site for ‘The Secrets of Filming Swallows & Amazons’. It is hugely appreciated and most helpful. Do let me know if you have any questions. Certainly! My mother has just given me several new secrets to add. I’m desperately trying to find Lesley Bennett who played Peggy as her diaries were more comprehensive than mine, but I think she lives in Holland. I don’t know if you’d be interested in my proof editions – the original hardback samples or paperbacks marked up for the publisher. They have the map I drew on the cover and are much like the eBook to look at as we only gained permission to use official stills from the film at a later date. I would love to see photocopies of any new work in progress – I have never been offered such before – thank you very much ! I think it is very important that present and future readers of A.R. books , members of TARS and those who hold the 1973 version of ` Swallows and Amazons ` as a beautiful representation , have further opportunities to learn how the film was actually put together – I am sure my grandchildren , 6,5,4 and 3 will all be pleased that you shared the secrets !